Most agents know the power of email. Through email lists, newsletters and drip campaigns, agents engage their leads with targeted marketing content. But SMS is even more powerful for real estate marketing. Where email marketing has an open rate of about 20 percent, text message has an open rate as high as 98 percent. A similar pattern emerges for response rates (8 percent for email, 45 percent for SMS). Why Is SMS More Effective? So why is SMS more effective in marketing? One reason has to do with volume. While many of us receive dozens of emails per day from various sources, we probably only receive a handful of text messages per day. If your message is just one of many that a lead receives in a day, it is more likely to be buried and never opened. There are also spam filters. Email providers have gotten quite good at detecting mass emails and directing them to spam. With these filters, there is always the chance your email never reaches its intended destination. Finally, it may have something to do with the way we sort our social communication. Think of the people and businesses that email you in a day. Now think of those that text. I bet you put the people who text in a separate category consisting of mostly close friends and family. Despite all the advances in email and social media technologies, SMS remains a more personal way to communicate. How Can I Integrate SMS Into My Marketing Strategy? It’s pretty clear that real estate agents do not have the time to be writing personal text responses to all lead inquiries. So integrating SMS into your marketing strategy should involve some level of automation. Many CRMs now include text messaging into their software. For example, Follow Up Boss routes all of your text messages to an online inbox where you can respond like an online chat. This allows you to respond faster and juggle more SMS threads at once. Zoho CRM allows you design a workflow that includes triggers and automatic actions. For example, you might create a rule that sends an automatic text reply when a new lead is on boarded. These tools bring the convenience of mass email marketing to SMS. What Does Realtyna Offer for SMS? 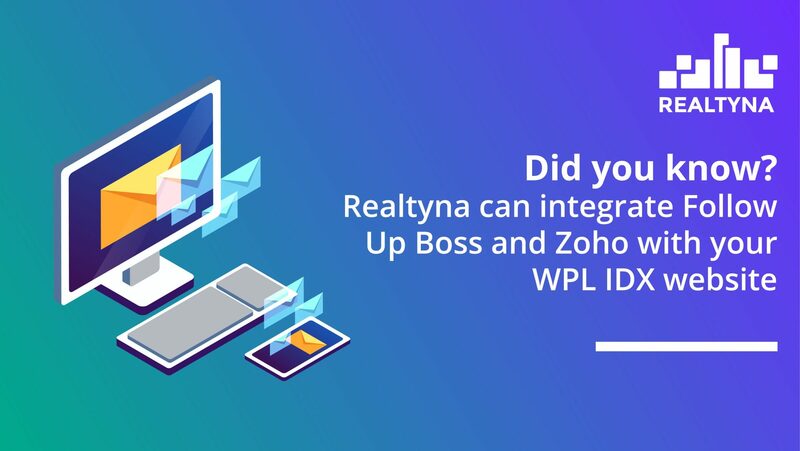 In addition to integration with Follow Up Boss and Zoho, Realtyna offers a native SMS Add-on for all notifications issued by your IDX system. With the SMS Add-on, agents can view all automatic notifications issued by their website and select which they prefer to be issued by SMS and which by email. For example, an agent may choose to send an SMS if a lead requests a viewing, if a new property matches a saved search, or if their membership is about to expire. With the SMS Add-on, they can make mix and match notifications in the way that works best for their business. 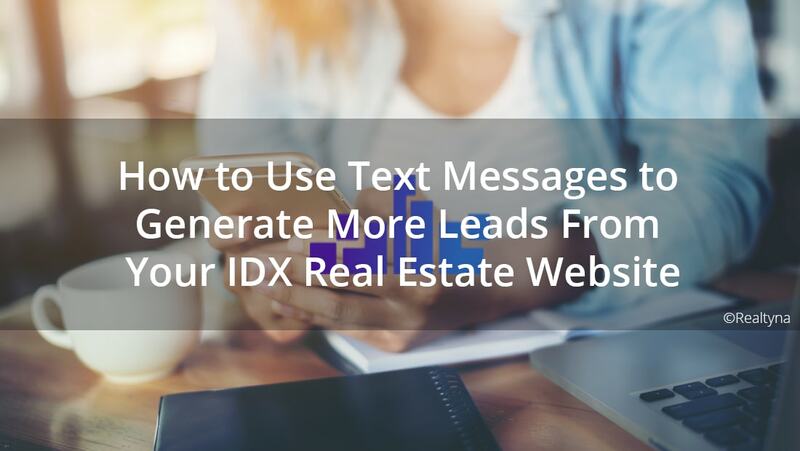 So now you know how text messages can help you improve your marketing and generate more leads from your IDX real estate website. For more lead generation tips, check out 7 Steps To Use LinkedIn Correctly and Generate More Real Estate Leads and How Can I Connect My IDX Listings to Facebook?